I sometimes wonder about buyers for department stores; it’s like they think anyone over a size 12 wants to wear only dark and dreary colors and waterfall cardigans. However, Nordstrom seems to be stepping up their plus size game. 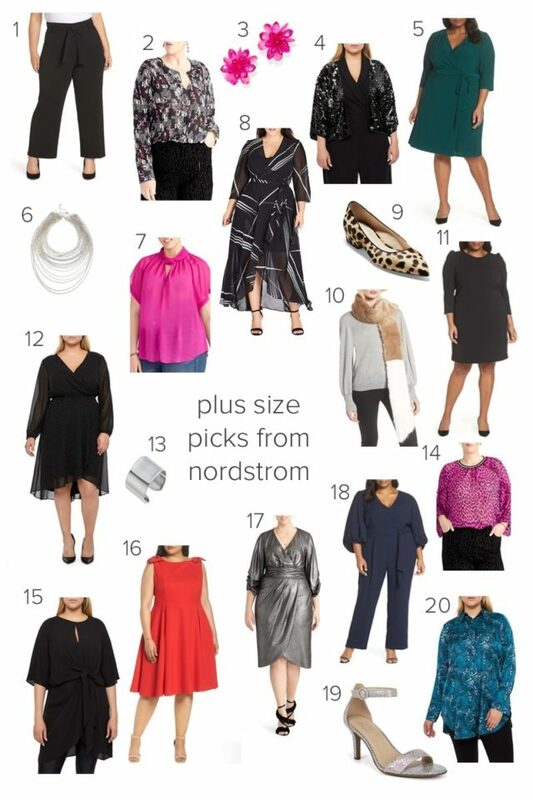 Recently perusing their New Arrivals, I saw so many stylish, pretty, professional, and downright fun plus sized options I just had to share! Thanks for focusing on plus sizes! My pleasure, we all deserve awesome clothes and there’s far fewer options over size 14! Nordstrom has become a go to for just about anything. I’m fortunate to have one near me but have more luck online. And if I see something “plus sized” that will be too big, I usually can find its counterparts in the size I need. FYI…this post comes in my email and in the email only the numbers and pictures do not match. When I click the link to the blog, everything matches. It’s easier for them to have more products and sizes online, I too fare better online than in my local store. And sorry about the number mishap! I agree with the selection at Nordstrom. My only complaint is that it is really hard to find a plus department in their stores. The one I used in Phipps Plaza Atlanta shut down. Now it’s more of a drive up to another location. Free returns help, but sometimes it takes a lot of effort. Stores have specific buyers that shop based on what they think will sell in the area. They also have far fewer space for sizes and brands than online. Online returns are a pain, but I’ve learned it’s worth it for the selection sadly.